Venezuela and Colombia recalled their ambassadors for consultations on August 26. The move came after a meeting between the two nations’ foreign ministers failed to calm diplomatic tensions over Venezuelan border closures and Colombian smuggling activities. The recall was followed the next day by further border closures announced by Venezuelan President Nicolas Maduro. Had Hugo Chavez not passed away in 2013, the former Venezuelan president and revolutionary socialist would have turned 61 on July 28. However, though Chavez is gone, his indelible imprint on Venezuela’s political landscape endures. Venezuela's president, Nicolas Maduro, speaks to the National Assembly in Caracas about the Guyana border dispute. Photo: AVN. Venezuelan President Nicolas Maduro says the giant oil company Exxon-Mobil and other oil lobbies have been working to undermine his nation's relations with the Caribbean, especially neighbouring Guyana. Supports of the 'no' vote celebrate in Athens on the night of July 5. Leaders of Latin American left-wing governments have congratulated the Greek government and its people after Greece's historic July 5 referendum. 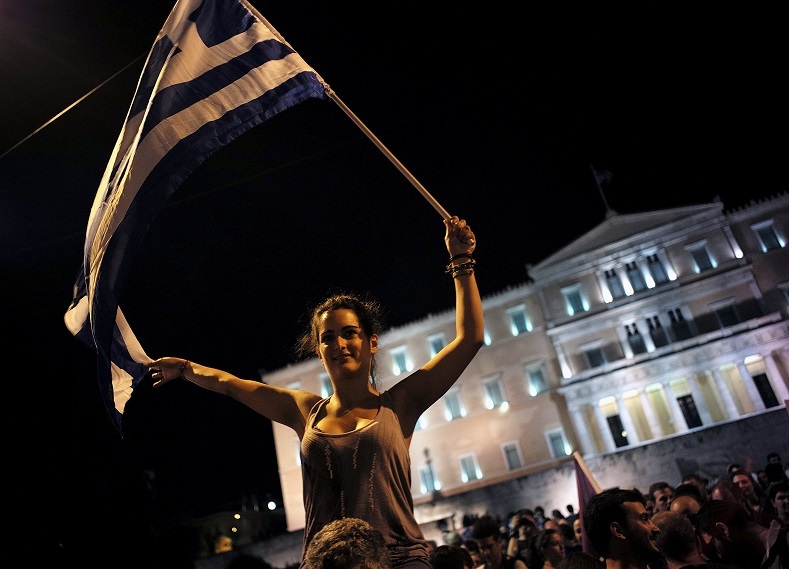 Voters rejected debt austerity proposals by Greece's European lenders. 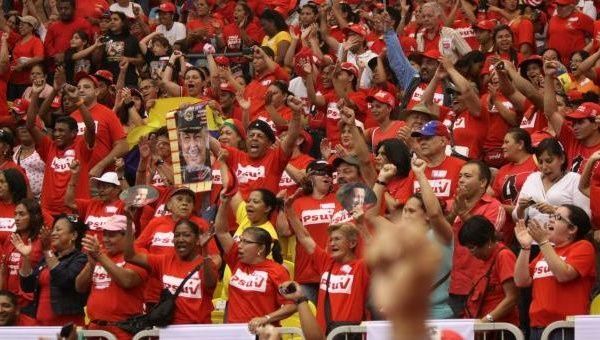 The United Socialist Party of Venezuela (PSUV) is held its primaries on June 28. Photo: TeleSUR. The latest study from polling firm Hinterlaces shows that 62% of Venezuelans want the ruling United Socialist Party of Venezuela (PSUV) to stay in government. 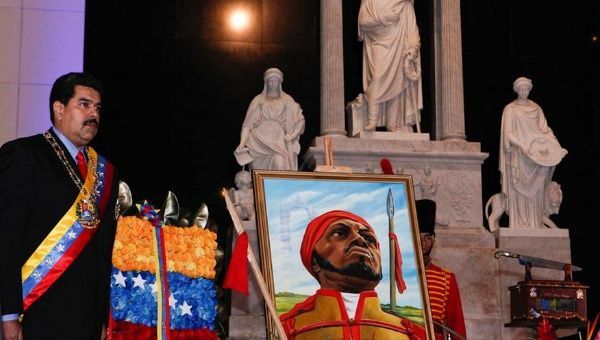 President Nicolas Maduro supported reparations for slavery after a ceremony that paid tribute to Afro-Venezuelan independence fighter Pedro Camejo. Venezuelan President Nicolas Maduro expressed support on June 24 for the Caribbean call for reparations from their former colonial powers. Protest against Guarimba, Caracas, January 21. Photo: Cory Fischer-Hoffman. Leftists in Venezuela have put forward several explanations for the pressing economic difficulties and growing discontent that have beset the nation recently. These difficulties raise the possibility of an opposition takeover of the National Assembly in this year’s elections. 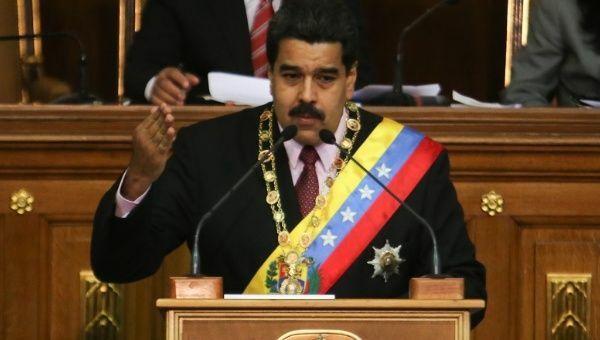 It is a point of honour for the Venezuelan government that despite the sharp plunge in oil prices and acute shortages of goods, President Nicolas Maduro has ruled out austerity measures.